1. The West African Power Pool (WAPP) has received a loan from the World Bank towards the cost of West African Power Pool (WAPP) Integration and Technical Assistance Project and intends to apply part of the funds to cover eligible payments under the Contract for Tuning of Power System Stabilizers (PSS), Field Testing of Governors, setting change of Governors and Synchronization of the WAPP Network. Bidding is open to all bidders from eligible source countries as defined in the Guidelines: Procurement of Goods, Works and Non-Consulting Services under IBRD Loans and IDA Credits & Grants by World Bank Borrowers - January 2011 Revised July 2014 (Procurement Guidelines). 2. 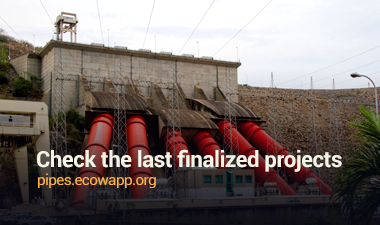 The WAPP invites sealed bids from eligible bidders for carrying out the synchronization of the Power Systems of WAPP (West African Power Pool) countries. 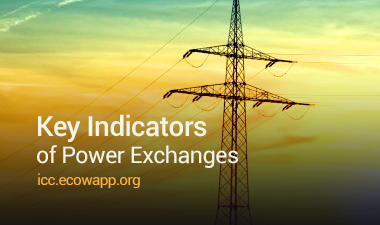 This project involves the tuning of already installed PSS (Power System Stabilizer), Field testing and settings of Governors and Synchronisation of the complete network. 3. Bidding will be conducted through the International Competitive Bidding procedures (single-stage bidding) as specified in the World Bank’s Guidelines: Procurement of Goods, Works and Non-Consulting Services under IBRD Loans and IDA Credits & Grants by World Bank Borrowers - January 2011 Revised July 2014 (“Procurement Guidelines”), and is open to all eligible bidders as defined in the Procurement Guidelines. 06 BP 2907, Cotonou, Benin. 6. The provisions in the Instructions to Bidders and in the General Conditions of Contract are the provisions of the Bank Sample Bidding Document “Procurement of Non - Consultant Services” (December 2002, revised April 2007). 7. Bids must be delivered on 18 February 2019 on or before 10:00 am, Cotonou local time at the following address and must be accompanied by a bid security of 50,000 USD or an equivalent amount in a freely-convertible currency. 8. Bids shall be valid for a period of 120 calendar days after Bid closing. 9. Bids will be opened in the presence of bidders' representatives who choose to attend at 10:30 am on 18 February 2019 at the office of WAPP Secretariat.